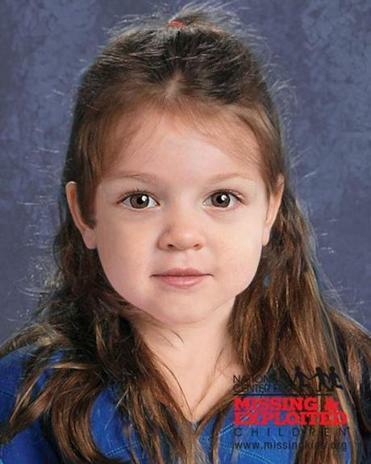 A computer-generated composite image of the girl whose body was found on Deer Island, as she may have appeared while alive. In the search to identify the body of a little girl that washed up on Deer Island in a plastic bag June 25, police ruled out two missing children suggested by anonymous tippers. Three-year-old Aliayah Lunsford disappeared from her West Virginia home in 2011, the same year 20-month-old Ayla Reynolds vanished from her bedroom in Maine. After contacting family members and comparing the children’s ages, State Police spokesman David Procopio confirmed that the two children do not match the profile of the girl whose body was found and who was apparently about 4 years old. The police have been searching through a long list of missing people from the National Center for Missing & Exploited Children, Procopio said. Though new leads surface, nothing has yet been confirmed. Investigators said they are “in awe” of the help they are receiving from the public. State Police encourage landlords, building owners, pediatricians, and the public to inspect their surroundings and notice if children have not been seen for a while.